0 Comments // Reading Time: 8 min. 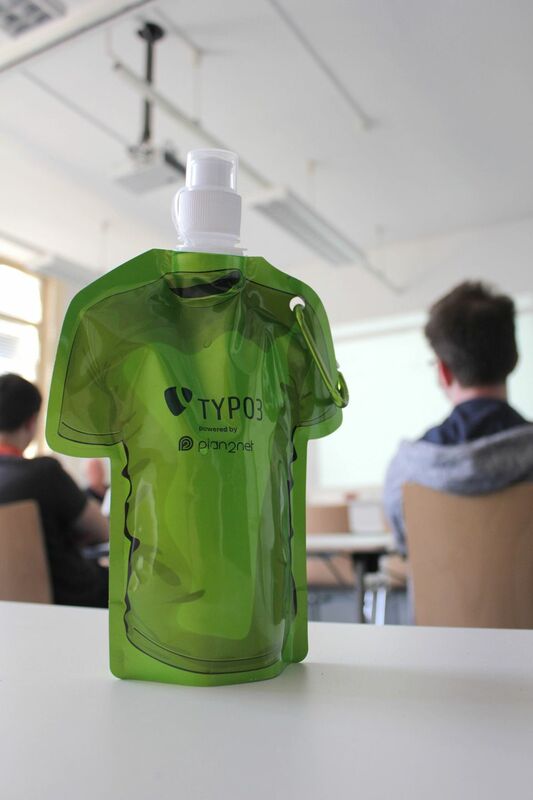 On Thursday, fifth of May, our team has gathered in Vienna for the occasion of attending the TYPO3camp Vienna. We had a chance to meet and get to know each other better, and some of the colleagues met in person for the first time since they work together but in their home offices, with distances of over 1000 km. Considering we came two days earlier to Vienna, we had plenty of time to go sightseeing the capital of Austria and enjoy it's many possibilities. Even though we were exhausted from the journey, it didn't stop us from staying awake and, with eyes wide open, absorb magnificent sights from the old Austro-Hungary architecture to contemporary architecture. Ok, a few coffees were true allies in that achievement. The first impression of the surroundings is how much the buildings and the infrastructure are in balance with nature. When you look at most of the photos you can notice that balance. As much there are asphalt and concrete buildings, there are so many parks, green surfaces, and forests. There are streets with the whole army of trees, without them this city wouldn't have its freshness for all our senses. The four of us gathered in the early morning hours. After checking in, at the kind staff of the Ibis Budget hotel, we quickly come into our room. The accommodation has everything one business team could possibly need for team building. Comfortable beds for a good night's rest, amazing spacious bathroom and perfect personal hygiene necessities. The rooms are small but spacious, well organized and very functional. Satisfied with our accommodation, we left the hotel and it was a nice day for a walk. 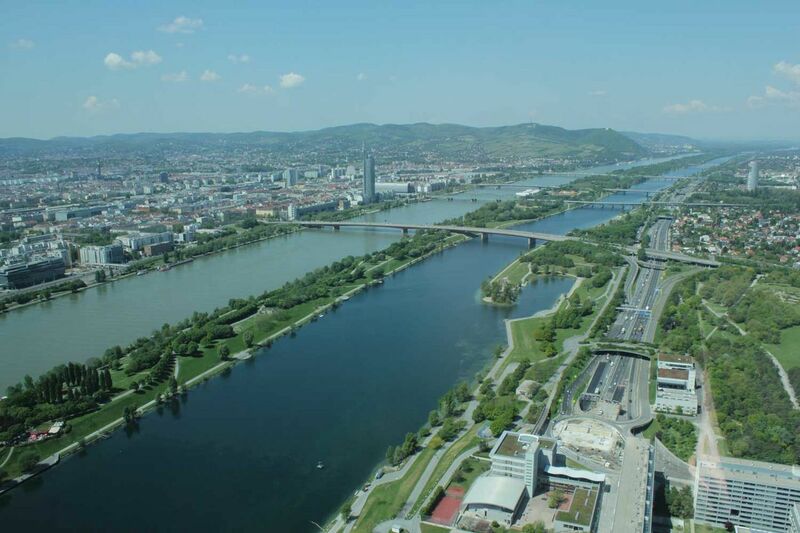 Since the Danube is a few hundreds of meters from the hotel, we come down to the promenade and continue walking down the river a few kilometers until we randomly came to a picnic area. The wonderful greenery is all around us, a blue sky is mirrored in the small lakes with the swimming ducks. Walking down the coast, we were following the nature trail which led us to the heart of the deepest forest of the city. Of course, these are small forests, just a couple of hectares, but they are a beautiful sight in such an urban environment. We notice trails of ash from barbecue firewood and a few cottages made out of branches in the shape of a cone. Apparently some people were there for a picnic or maybe team building. 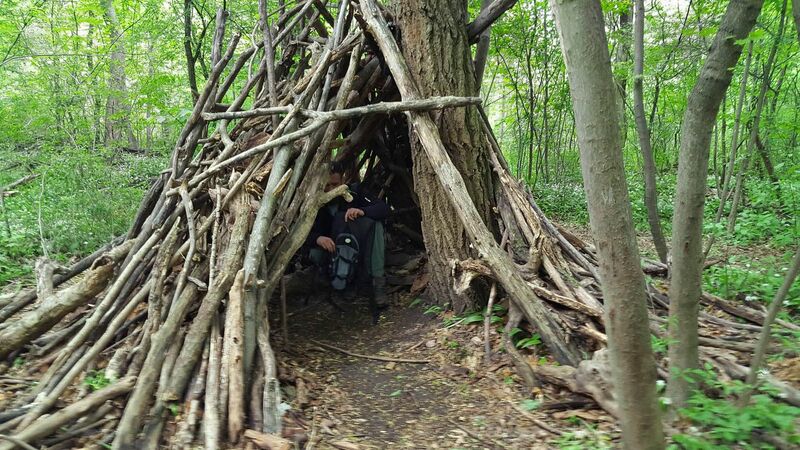 One of the colleagues is suggesting that we change our accommodations and stay, which we agree to, laughing and taking pictures inside of the cottages. Some weird objects made of strings are hanging on the branches, so the association of „The Blair Witch project“ the movie is a nice reason to continue down the forest, in hope that we will not come back to the same spot. Later that day we visited a large amusement park. There were so many people there, like in hornet's nest, buzzing around all over the place. We were determined to really shake up the lunch we had earlier injected into our stomachs. After car crashing rides, spinning around and all other crazy stuff which made our clothes wet (with water), we are leaving to the well-known wax figure museum - Madam Tussauds. A famous historical and contemporary celebrities are displayed realistically in their natural size, like a live frozen person. Many hours of walk across the museum did not stop us from going a few more kilometers in search for a tavern. There we poured a few liters of well-earned beer, for the milage of circa 20 km on foot, counting in a late night walk to the hotel. Even more beautiful morning than the day before. We are sunbathing in the garden of the nearby bakery, while enjoying our breakfast and an excellent coffee, after which we head towards the Danube once again, only this time we took the walk down the other side, attracted by the gigantic architectural object, driven straight into the sky, which was mirrored in the glass of the building. DC Tower is 250m high, including its antenna. 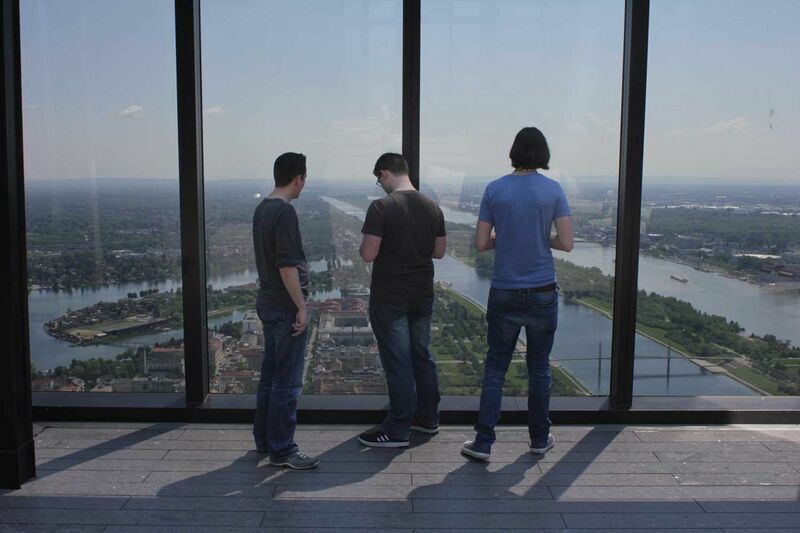 There is a sky terrace on the height of 220 meters, which we couldn't resist. A very powerful elevator is climbing us to heaven, in just a few seconds. There is a beautiful sky garden, where you have a bird's eye view of the world. Hypnotized by the beautiful panoramic view, we stay there for two and a half hours. After coming back to earth, to the ant perspective, we meet with our colleagues from other companies, which are also attending the TYPO3camp. They invited us to join them in relaxation by the river and sunbathing. Everybody felt the need to take their shoes off and cool down their swollen feet in the cold Danube, which was clear as the sea, in that area. Our feet, thankful for the rest we gave them, easy take us to the garden of the cafe bar “Schtrand” which is designed in a way that you really have an impression of being on a beach while sitting at the beach on the sand. Colleagues are having conversations, getting to know each other better, but when the food arrives all of the conversation is over and until everybody are full and happy. We are continuing to burn our calories with walk and sightseeing towards the end destination for the day - The Einstein cafe bar. It was an official place for the encounter of the TYPO3camp participants where we had a “warm-up party”. With very kind welcome, we are given packages with all the necessary content needed for participation in the camp and presents as well. I guess the fatigue and the lack of sleep caught up with us, so we woke up later than planned. We are really lucky with the weather. A real summer day is calling us out to the fruit shop, where we are quickly filled with vitamins and headed off to the TYPO3camp, which was held at one of the oldest universities in “german speaking world“ from 1365. Also, it is one of the biggest and, in my opinion, the most beautiful university in Europe. As a graphic designer, I can tell that the organization is really at a high level, especially the visual identity of the event. At the end of the day, we visited an „Irish Pub „ a tavern owned by a man from Manchester. What's interesting here is that all of the employees speak English only, so you can have an impression of being somewhere in the Ireland, in all its authenticity. Sunday is bathed in sun. These days it is like the weather is custom ordered, and we are leaving to the University. Sessions are beginning, problems are being solved, experiences exchanged, and all of it is played out in a very pleasant ambience with the latest technology. In between the sessions, participants could really have fun playing with racing toy cars using their tablets as a controller. Such an excellent anti-stress fun! As a form of relaxation after a job well done, it is very desirable in the working environment. People were provided with more than enough food and drinks, which were available during breaks. They also had a vegetarian food as an option, which is very commendable for the organization. The sessions are continuing, and everybody are leaving to some of the offered sessions from the daily schedule. A large number of visitors are mostly from German speaking countries, so it is quite logic that the sessions were in German, but people were very considerable and meet the needs in case someone asked for the discussion to be continued in English, which is normal for an international event. 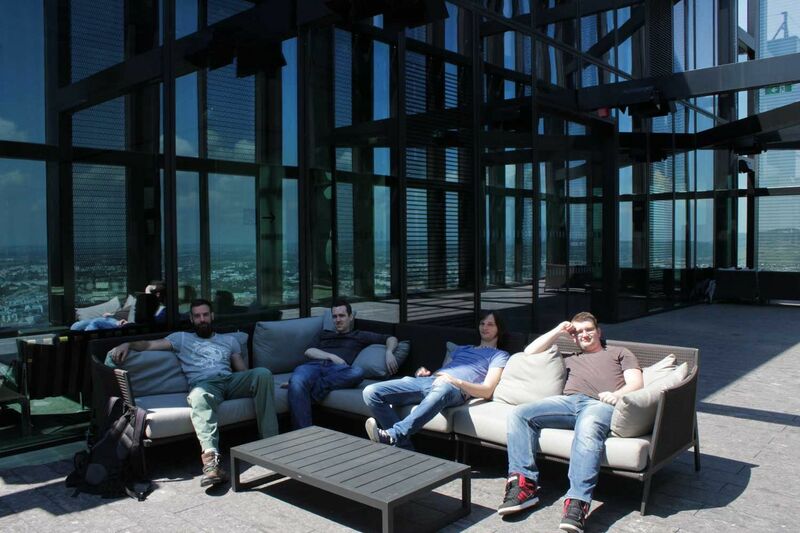 We leave the building somewhere around 4:30 as we are finishing a successful TYPO3camp in Vienna. We spend the rest of the time walking through the city, going to cathedrals and monuments, with an objective of feeling a little bit more of a spirit of an old historical time. 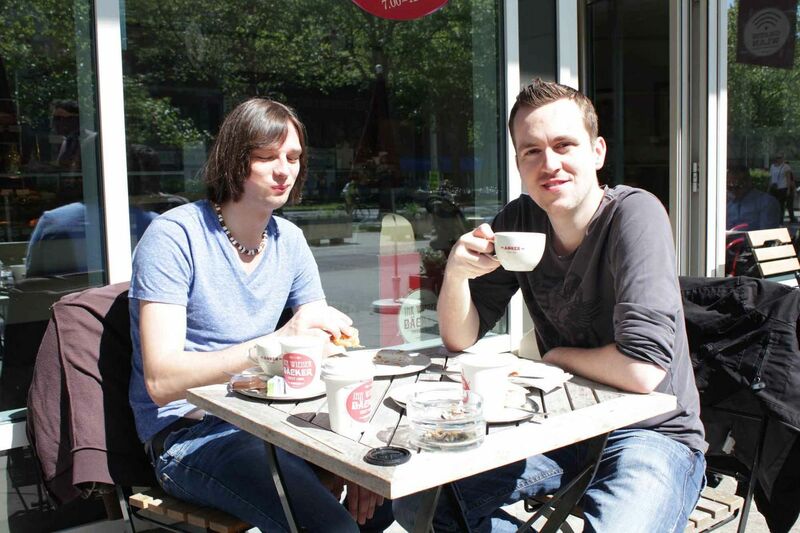 The satisfied team is drinking up the last coffee in the garden of a pastry shop with the view on the beautiful horses with the carriage for the tourists. We are talking about our impressions, satisfyingly observing the sunset, as the time is coming to go our separate ways. Luckily for some, not so lucky for others,the fourth day has passed without the beer, but everybody came back home safe, which is most important. You know more articles? Inform us in the comment section below.